A couple Sundays ago went to visited my dad and step Mum. They’re going to moving out of their place and are slowly cleaning out things. Was looking through some old stuff and found was some old wine making equipment. I knew my dad had made wine in the past. I didn’t realise how much equipment he had. And until then I hadn’t joined the dots to realise that I could use this stuff for making beer. As I lifted each piece out of the cellar it dawned on me that this was going to be really helpful. Small bag of something without a label. Looks like sand. Not sure how much use I’ll get out if the ingredient stuff. The sodium metabisulphite [edit: this is a non-rinse sterilising and only part of Campden tablets]. Campden tablets are help control fermentation and a few other things. Might give it a go. 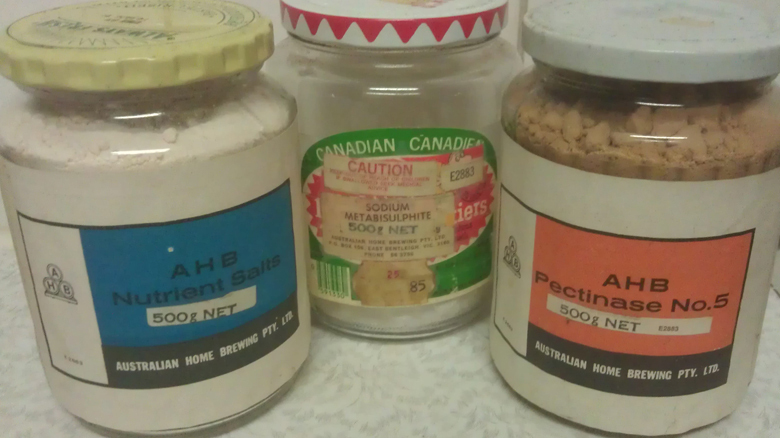 The nutrient salts might be ok. Will have to test them. Pectinase is for getting more flavour and cleaning wine, unlikely that I’ll need that. Tannic acid is for clearing and flavour enhancement. Might need to try that. Rest, got no idea what they are and will probably go in the bin. The last part of the stash is a whole bunch of print. Some of it is home brewing catalogs. Some of it is single sheets of instructions on something about brewing. 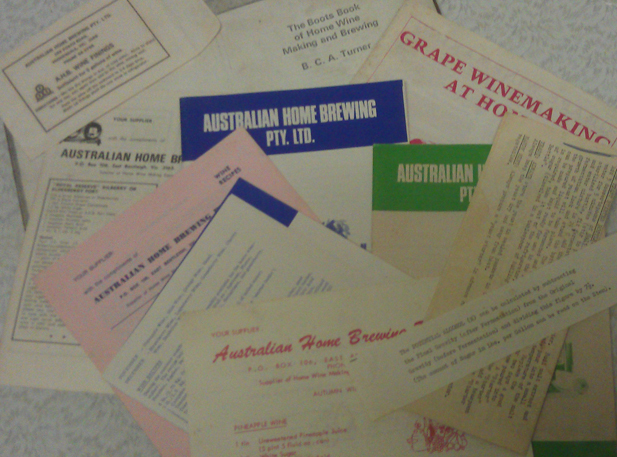 Some of it is recipes for home brew wine. And the one big piece is a book on home brewing wine, photocopied and bound. What will come of all this? Firstly a whole lot of cleaning! 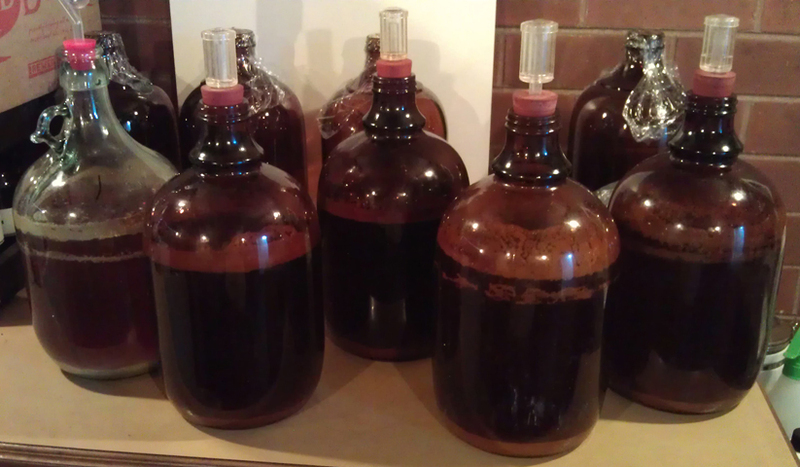 The carboys and bottles have a whole bunch of caked on dirt. The tubes have stuff through them. The airlocks have sediment and dust. Plenty to clean. Once all cleaned I’ll give an update. If you’ve got any advice on this stuff it would be great if you want to comment below. There’s not much home brewing going on at Chas’s or my place. Chas is heading overseas soon and won’t be around to bottle anything he brews. I’ve got the Super Stout in the fermenter but haven’t got around to bottling it yet. That’s because it’s Good Beer Week here in Melbourne. It all kicked off on Saturday 17 and goes through to Sunday 25. 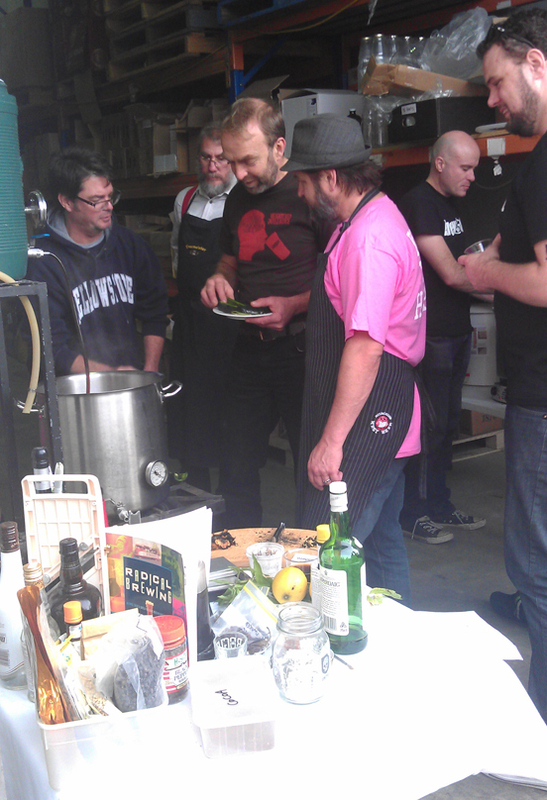 Heaps of stuff on lots if beer tasting, dinners, talks, tours, and of course brewing. 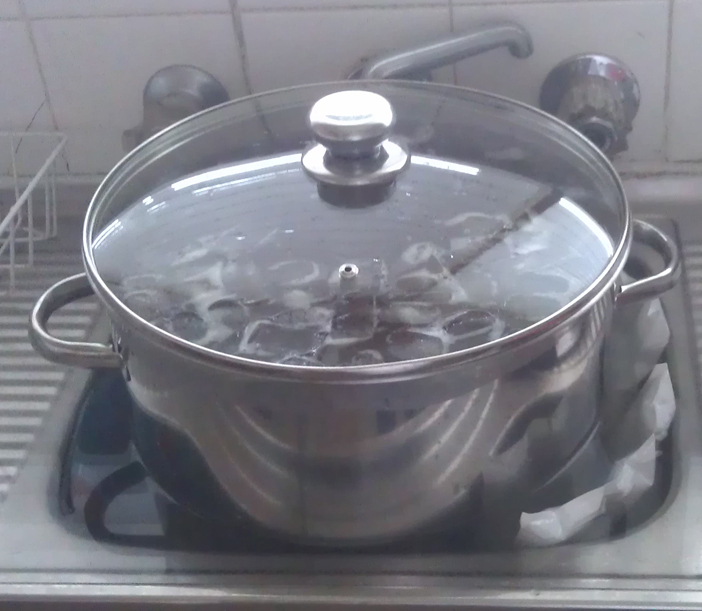 Originally I wasn’t going to put up anything on this blog because it’s about home brewing. 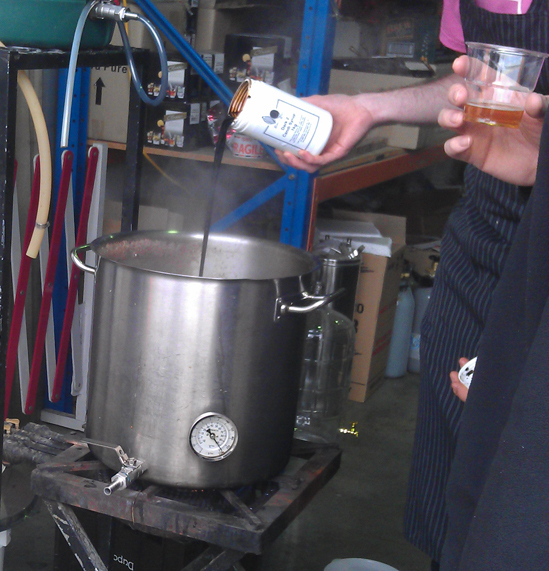 Then I realised the first event I went to was about home brewing! At the un-fun hour of 9 am on last Saturday morning the System Wars – Iron Brewer event officially started. 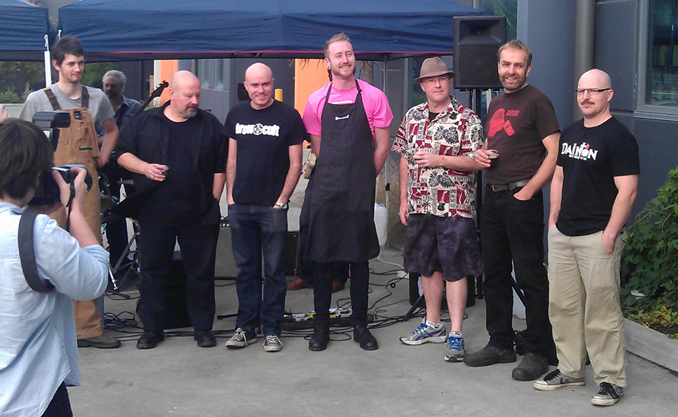 It was hosted down at Grain and Grape in Yarraville. The idea was fairly straight forward, seven professional/near-professional brewers bring their own home brew equipment and make a beer. The catch, there’s one ingredient everyone needs to use and showcase in their beer. Plus, the have to commit to the base malt before finding out what the secret ingredient is. Most brewers got in early and started around 8-8:30. So, by the time it started at 9 there was a lot of grain already converting to malt sugar. As the brewers had their own equipment there were a range of techniques going on. Each one was all-grain but with wide range of methods. Chatting to one of the brewers he was talking about how he and another brewer had decided to do a saison. Both were working on the idea that the style works well as it really absorbs the flavour of whatever you throw at it. As long as the secret ingredient isn’t chillies they’d both be fine. It was only another 10-15 minutes later that chillies were announced. Rather than have the same type of chilli for everyone, there were seven types, one for each brewer. Those that started first got first pick. And the brewer who started after 9 got last pick. A few brewers had picked a dark base to start with and the general feeling was that they were in the prime position to make a great beer. Of the seven there was a chocolate chilli brew, a smoked chilli and an Old Fashioned inspired brew which looked really interesting. This was a fun day. Talking to people who do brewing at a much higher level and picking their brains on everything brewing related. There was a band and a BBQ going to keep things lively. I’m thinking next year I’ll be back. 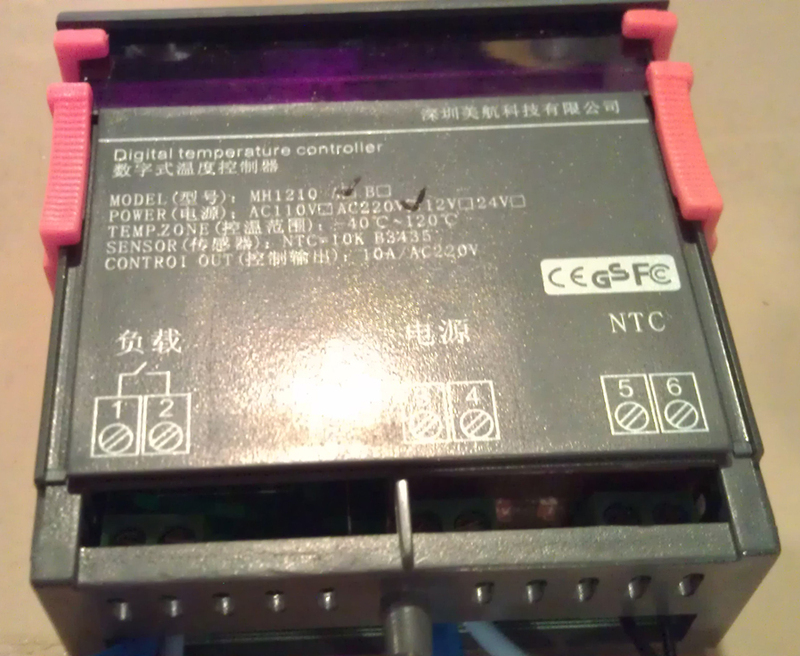 Back in April last year I bit the bullet and bought a temperature controller. I picked it up on eBay for around $10 and a few weeks later it came in the post. 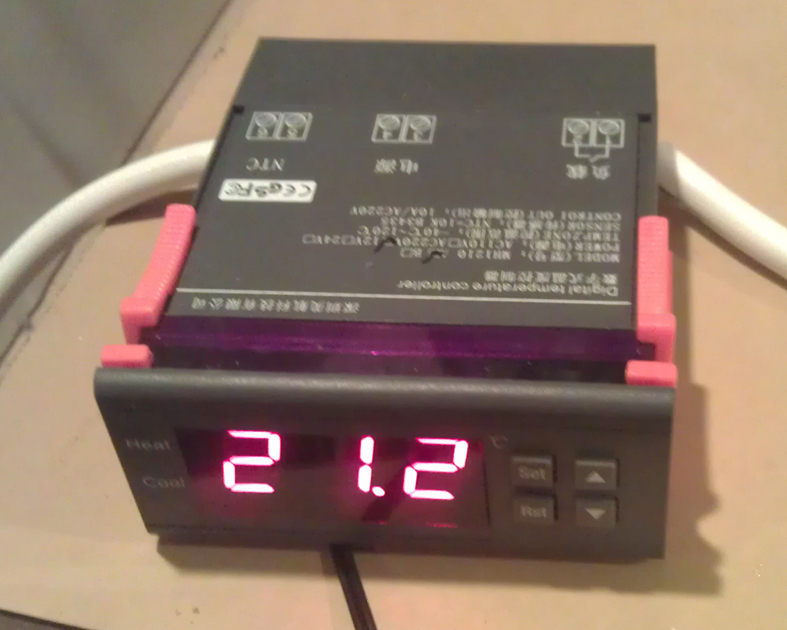 It’s quite a small unit with a simple interface. The instructions are basic and just a single A4 sheet covers everything. And that’s where things stop being fun. The wiring diagram is only a slight step up from incomprehensible with everything in Chinese as well as on the unit itself. Google searches for wiring diagrams on the exact same unit name/number were no use. Trying to find similar units was the first real starting point. Comparing what others had done with similar-ish units gave me an overview if what the wiring structure should be. Then it was a mater of throwing in words like “positive”, “negative”, “current”, “live” and the like into Google translate to work out the right way to wire the unit. Ended up Googling terms like “Chinese character for Positive” to confirm. After all that the unit finally got wired. 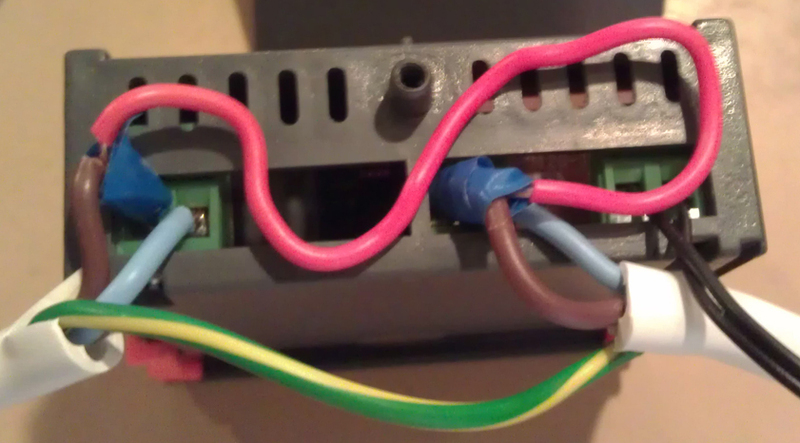 Back of the Temperature Control unit all wired up and ready to work. Plugged it on and turned on the mains. Let’s just say that it wasn’t wired right the first time, and move on. An not one word about who wire it… A bit more time on Google and everything was sussed. Turned on and worked fine. There is a sensor on a wire which measures the temperature. My original idea was that this would be dropped directly into the wort. Then after a few discussions with fellow home brewers I decided to take their advice and put it on the side. One noble, and rarely used, stubby holder gave up its life to be used. The ex-stubby holder was placed on the side of a fermenter and stuck down with a whole lot of masking tape. Then the sensor was placed between the fermenter and ex-stubby holder . Overall effect is that the sensor can read the temperature and insulated from everything else. Plus, its nice padding to prevent it from being damaged. 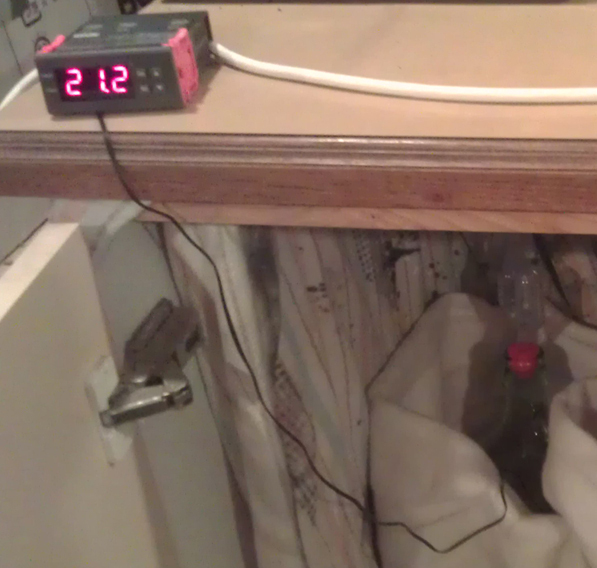 Temperature Control unit set up with carboy and heating blanket. The unit works by having a set temperature. Then there is a range, or threshold, above and below. Once the actual temperature is beyond that temperature range it turns on the power to the “thing”. This can be for heating or cooling depending on what device is attached. If you plug in a heater and have the unit set to heat then once it’s below the set temperature the heater turns on. Neat. This can be done for cooling as well. The temperature control has a minimum plus/minus range of one degrees Celsius. What that means is when I set the temperature at 21°C it can drop as low as 20.1°C before the heating kicks in. And in theory it could get up to 21.9°C before turning off, but in reality it doesn’t go that high. So, the unit has a bit of flux which isn’t ideal but also isn’t too bad. This unit only has one switch it means it can heat or cool. It can’t do both at the same time. There are a few units out there that do both and you can find them pretty easily. I was just a bit lazy, and cheap. Plus I’m not sure when I’de need both working. But if I ever do then I might just pick up another unit. Temperature Control unit sensor on carboy. It’s under the sliced up stubby holder, which is tapped to the carboy. Am I happy with the unit? Yes. Was it easy to get set up? No, but proper units with English instructions exits. And for those of you who are not, can’t not find, and still need to find a certified electrician… there’s units out there that don’t require wiring which do the job well and safe. I recommend any and all home brewers who are after good flavour beer to get some kind of temperature control. It doesn’t need to be a unit like above, it might just be a cool and stable room in the house/shed. Big changes in temperature and high temperatures makes a (negative) difference to the taste of your beer. Christmas was good for me. Got a couple vouchers for home brew shops. Yay. 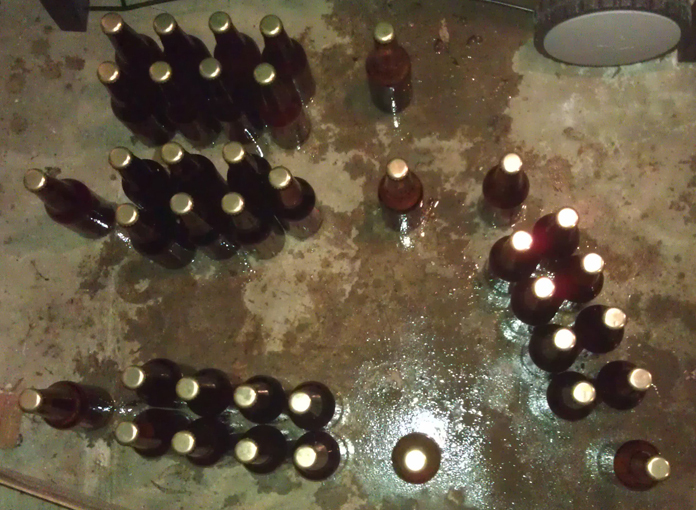 Oh, and the Australian Pale Ale #3 needed to be bottled. 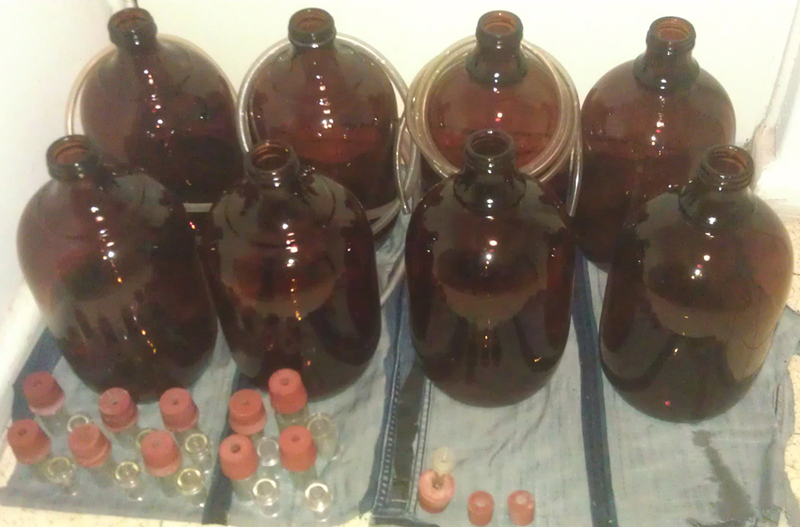 Was a bit distracted, and a bit lazy, so only got around to bottling on Thursday. Bottling Tree with just the first two levels and full of bottles. 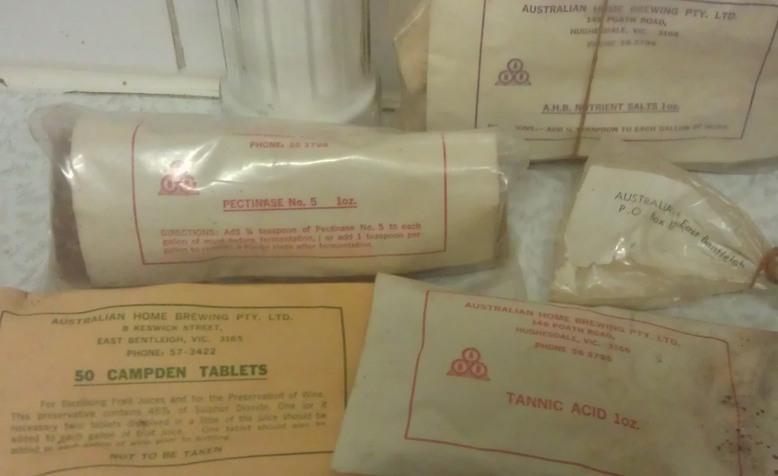 As I had some hot vouchers in my hand I went down to Australian Home Brewing to pick up some new equipment. First thing was a bottling tree. I’ve been wanting one of these for a while. Will be using it for both bottling days, and cleaning bottles. So, this is something I’ll be using a lot. As you can see from the photo I’ve only put the first to parts on, it’s all I need. Also picked up some hops, bigger capper with caps for big bottles and a small 15 litre fermenter. I’ll keep the hops under wraps until start brewing with them. Tried the capper on a wine bottle I had saved, didn’t quite work. Will be looking for the right bottles in the future. The small fermenter is really useful as I can use it for bulk priming, like for this brew, or other brews between the carboy and 30 litre fermenter. 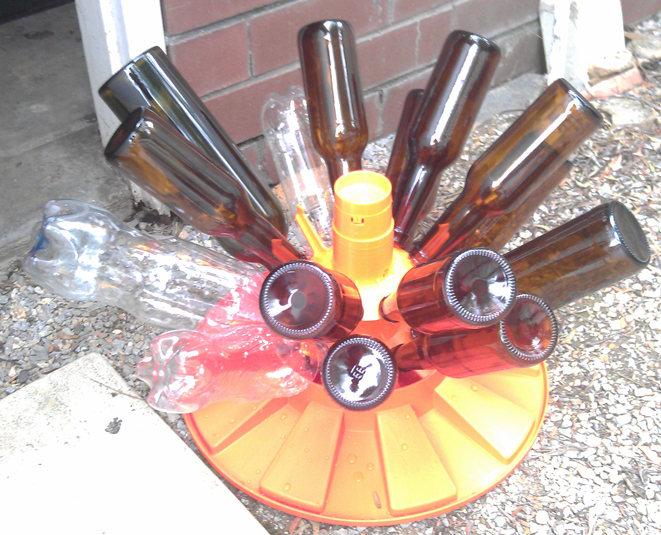 Bottling took a fair bit longer. Partly because I was trying new equipment and partly because I kept getting distracted. 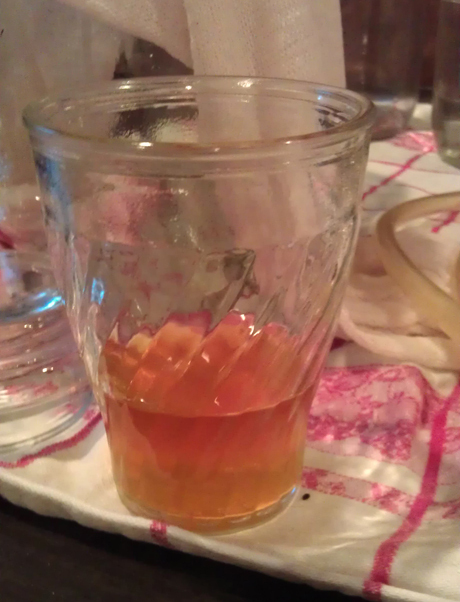 The carboy was poured directly into the small fermenter which had the dissolved sugar. Hopefully I didn’t get too much air into it, I think I might. Hopefully I didn’t get too much trub transferred, I’m pretty sure I did. 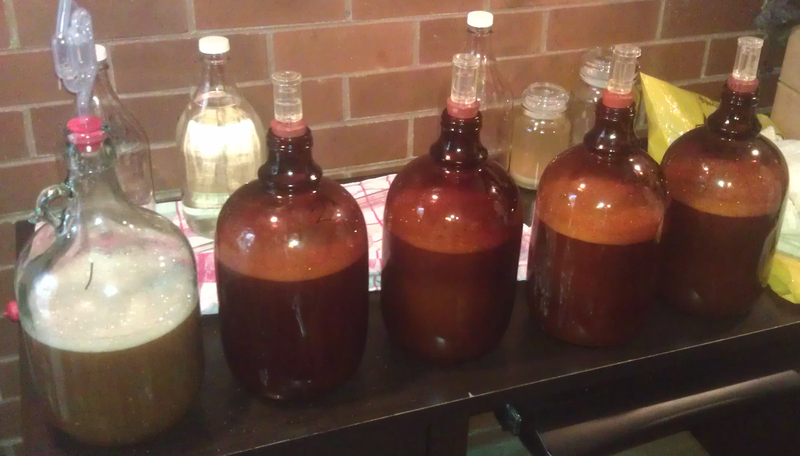 Again, I split the bottling up into some stubbies, a bigger 500 ml bottle and some plastic bottles. There were also two 1.25 litre bottles with the brewing caps. Just to see what happens I’ve decided to leave one bottle as it for condition. The other bottle I transferred into a new bottle and left the yeast/trub behind. 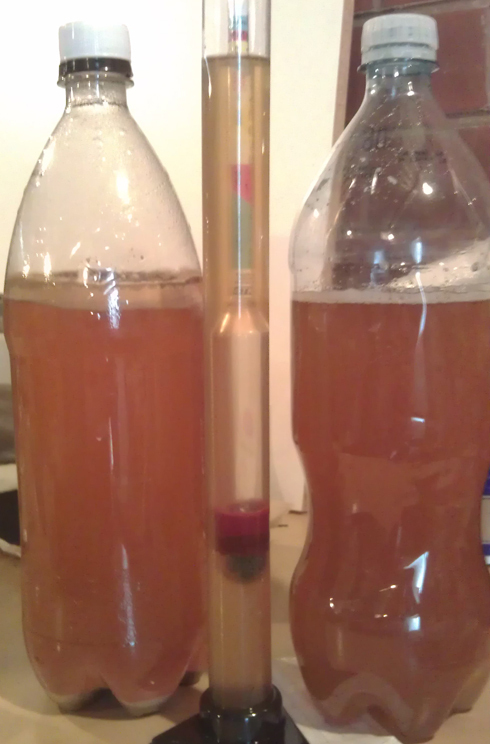 That second bottle is sealed and without any extra sugar for carbonation. Strange, the beer from the bottle that was transferred wasn’t that carbonated. So, this could go either way. Australian Pale Ale 3 in original bottle, gravity reading and re-bottled. 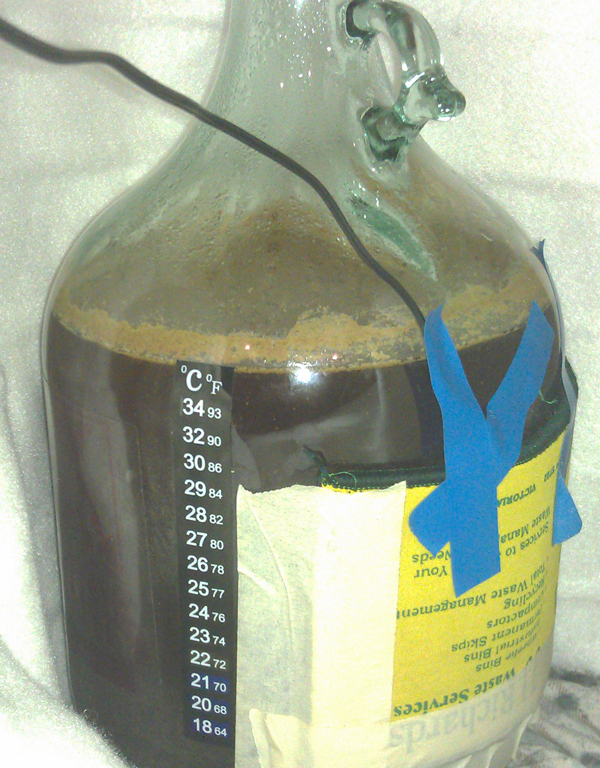 Gravity reading was really good, 1.012 for both the carboy and 1.25 L bottle. That means the beer from the carboy will end up about 5.0% with the bulk priming, while the 1.25 L bottles will remain at 4.5%. That’s pretty good. Plus the flavour was good. Quite a bit of orange flavour with some other citrus and other fruit. Hints of some floral and grassy notes. Will be interesting to see how it all settles down. Given the heat in Melbourne is finally starting to kick in there’s not going to be another brew at my place for a bit. That might change if I get my act into gear and sort out a brew fridge. Will keep you all posted.